Here you can see the thick fillet of flox on the interior. These are not going anywhere. 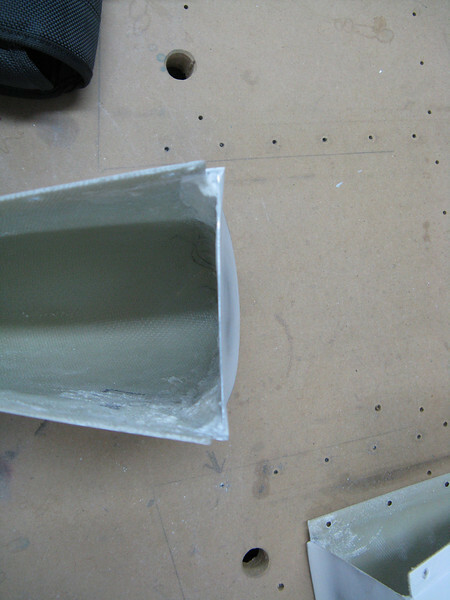 The epoxy makes a very strong bond to the aluminum (scuffed) and fiberglass.